When it comes to confidence on the golf course, nothing gives as great a boost as a solid tee shot with the driver. Long is good, but hitting your target in the center of the fairway and leaving yourself a comfortable approach shot is better. And most experts will tell you the key to a consistently solid driver is the top of the backswing. Put yourself in proper position for the swing through the ball and all will be well. 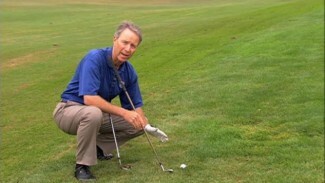 In this quick lesson, PGA Professional Joseph Hallett demonstrates one of his favorite golf swing drills for developing a backswing that produces results from one tee box to the next. 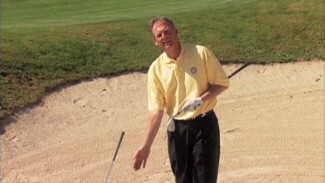 Golf is a simple game, provided you utilize the right technique and keep in mind the essentials. Sounds easy, right? Well, if the idea of simplifying your swing makes your mind go haywire, let’s take a step back and go over those essentials. Phase one: the backswing. To get your backswing in tiptop shape, Joseph is going to introduce to you one of the easiest but most effective golf swing drills in his repertoire. It’s called the Belly Button Drill, and it’s fairly self explanatory. Mastering the Belly Button Drill is a matter of moving carefully through the positions of the backswing, ensuring you have the technique down in one before moving to the next. 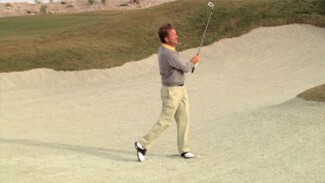 Joseph shows you how to set up for the drill, and then advance from address to follow-through. The key is, of course, the belly button. Where it should be at each moment, as well as where it should not be. If you take Joseph’s advice and practice the expert golf swing tips necessary for this drill, you’ll learn how to hit a driver more consistently and with greater accuracy in no time. The strokes will fall away from your scorecard!